ICT in the Real World: Skills for the Workplace (25 minutes) introduces viewers to design and use of new ICT applications currently found in the global business environment. The business process revolution prompted by the entrance of information communication technologies (ICT) established the architecture for virtualization. What has come out of the shift to Web based platform application as service (PaaS) for enterprise systems, are a range of closed and open access applications designed for custom development of infrastructure application as service (IaaS) of operating systems and other core functions, as well as unique business process software application as service (SaaS) options. When business clients subscribe to a cloud architecture service, they have scalability in mind. 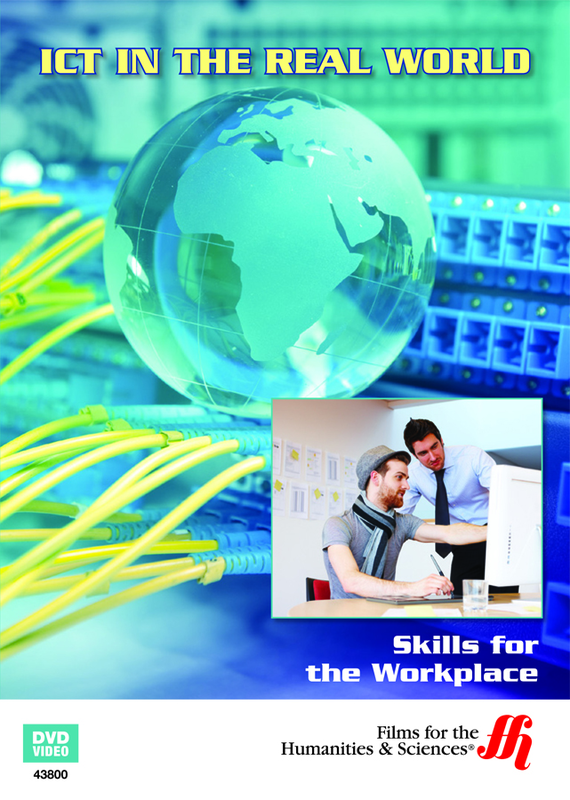 ICT in the Real World: Skills for the Workplace (25 minutes) examines the most common ICT applications found in the global business environment. Viewers are introduced to the concept of data driven strategy, and also the challenges faced by employee-users as they engage enterprise systems across the value chain of business processes.New skills enhancement in this key to the future of business. Case study of Microsoft Sharepoint Web based integration and use of standard business applications such as Microsoft Office Access databases, Excel spreadsheets, and PowerPoint presentations as part of an organization’s business process strategy offers insight in to the practical management of an enterprise network. Topics covered in the film include: file naming, comparison of cloud and onsite storage, backing up options, and file sharing. Designated user access rules, including confidentiality, copyright issues that arise in the workplace setting during research of secondary sources is discussed.